If your total household income was under $55,000 in 2018, you may be eligible for free tax preparation. The CASH Campaign of Maryland is providing free tax preparation services for families and individuals who qualify at locations throughout Baltimore and Maryland. This is an opportunity to save money and get your taxes done for free by IRS-trained and certified volunteers. You may even be eligible to access the Earned Income Tax Credit (EITC) which could put thousands of dollars in your pocket. Free tax preparation is by appointment only. You can schedule an appointment by calling 410-234-8008 or scheduling online. 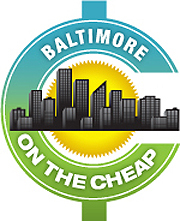 Click here to see the 21 other locations in Maryland offering free tax preparation. If you’d like to do your taxes on your own, click here to obtain free tax software. You’ll need to bring certain paperwork/documents with you in order to get your taxes done – be sure to check the CASH Campaign website to see the complete list. If you receive a tax refund, you may want to check out the article 10 smart ways to spend your tax refund from Living on the Cheap.